Dinner at Mikawa Zezankyo in Tokyo. 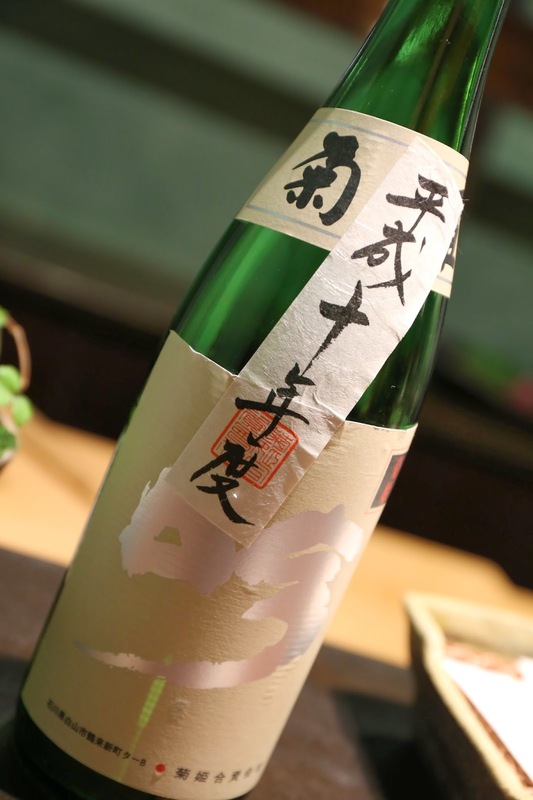 Kikuhime Gin (菊姫 吟), 10BY - this had a long finish. At first it was a little warm, so it was a little dry and bitter on the finish. Definitely full-bodied, or as the Japanese would say, コクがある.